Sugarplums are associated with Christmas even though most people don’t really know what they are! They’re actually like Jordan Almonds – but not necessarily with almonds inside. 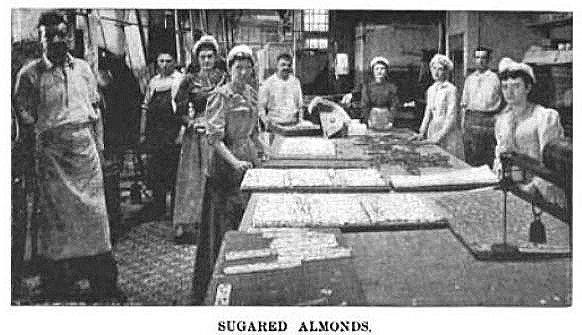 Jordan almonds are almonds with several coatings of sugar. They’re also the subject of Eugene Field’s poem, "The Sugarplum Tree". I always imagined that Sugarplums were like sugarcoated plums. 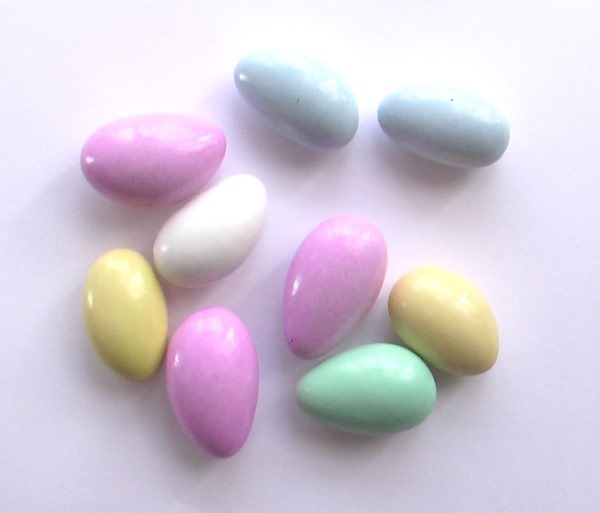 It turns out they’re more like Jordan Almonds. They can have any of various types of nuts, fruit or seeds inside them, including almonds, pistachios, walnuts, figs, fennel seeds etc. The nut or fruit is coated in many layers of sugar. The finished product has a hard outer shell made of sugar. Sugarplums can come in many different colors. 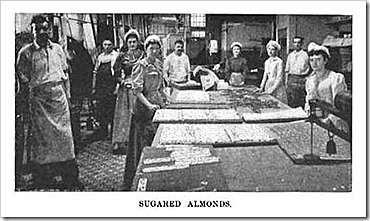 There are so many types of sugarplums that in the late 1800’s there was a factory in New York that made sugarplums in 150 varieties! Now when you hear about sugarplums around the holidays, you’ll know what they are! May sugarplum fairies dance in your head tonight! Note: You can read more about Sugarplums here and about the symbolism of Jordan Almonds here. 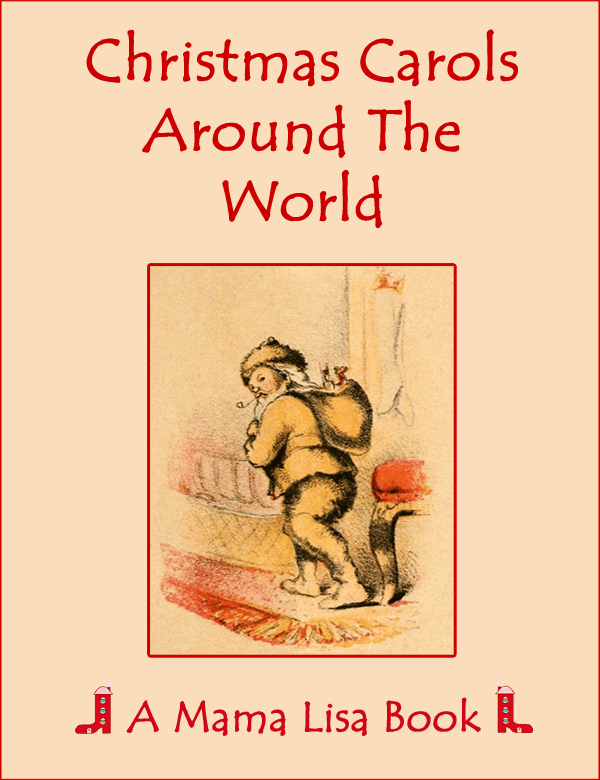 This article was posted on Sunday, December 21st, 2014 at 10:57 pm	and is filed under Christmas, Christmas Poems, Countries & Cultures, England, English, Eugene Field, Holidays, Holidays Around the World, Languages, Poetry, Poets, Sugarplum Fairies, Sugarplums, USA. You can follow any responses to this entry through the RSS 2.0 feed. You can leave a response, or trackback from your own site.